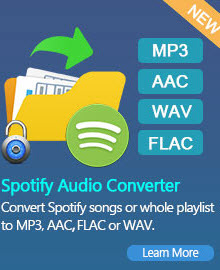 Convert YouTube Video to Mp3 Audio File with Mp3 Converter YouTube! Looking for a way to download YouTube videos? Here you can convert YouTube videos to MP3, MP4, or 3GP format in seconds. Any Video Converter is an easy-to-use and versatile application for downloading and converting videos from such services as YouTube, Nico Video, Google Video and many others. Do you want to put the beautiful music in the YouTube video to your MP3 player so that you can enjoy it whenever it is? This Mp3 Converter YouTube would do all for you. This powerful Mp3 Converter YouTube is great to download and convert YouTube videos to popular audio formats like mp3, wmv, wma and other. In addition, it is not only a Mp3 Converter YouTube, but also a powerful and versatile YouTube Video Converter. It can convert video files from mpg, avi, divX, mpg, vob, wmv, 3gp, asf, mov, rmvb and more into mp4, avi, mpeg and wmv files with fast speed and high video and audio quality. In the daily web usage, a variety of Internet users regularly use social web and online media platforms. YouTube is one of these platforms and provides the ability to upload their own videos and publish, or to download a variety of online videos from various fields. Many YouTube users would like to save videos locally on their computer or convert music videos to Mp3s and use them on your own computer. This is conventionally not possible because YouTube does not provide this functionality. 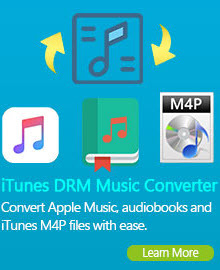 However, with our Mp3 Converter YouTube, which can also be installed on the computer, you can download and convert your favorite videos to Mp3 on your computer. Our converted Mp3s are of the best quality audio. The Mp3 music converted by our Mp3 Converter YouTube are guaranteed to be of the same high quality as they are originally seen on the YouTube website. Convert YouTube videos and save them to your computer to transfer to your iPod, iPhone or other MP3 player so you can take your favorite music with you when you travel. Our converted audios and videos are compatible with all brands of portable music and video players. So what are you waiting for? Try converting a YouTube video to Mp3 now! How to use the Mp3 Converter YouTube? Paste the URL into our super high speed and super awesome Mp3 Converter YouTube. Please note, if you paste the download link and click Start Download button, the Mp3 Converter YouTube will download the YouTube video without converting.